Everyone wants to make better data-driven decisions. Reporting is getting in the way. Everyone wants to make better data-driven decisions. Many companies are using reporting to support decision making but their ability to do so is bogged down. There are too many reports, resources are committed to existing reports and the link from reports to decision making is not well understood. Consolidating and streamlining reports is straightforward with decision management. A simple decision model, easily understandable to business and IT, makes it clear which reports are relevant, which are redundant and what is missing. The decision model also clarifies where analytics could be included to further improve decision making, what data is relevant and what data storage is appropriate (data warehouse,data lake, etc). Beginning with a decision model saves time and money. 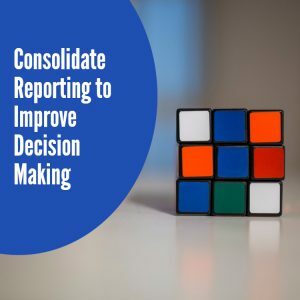 We are experts in decision modeling and we leverage this expertise to streamline the complete report consolidation effort. Our team has experience with a wide range of BI and data platforms (including Hadoop, Pentaho, MicroStrategy, QlikView, SAP BOBJ, Tableau and others). Read our brief, 5 Steps to Streamlining Reporting for Better Data-Driven Decisions to learn more.